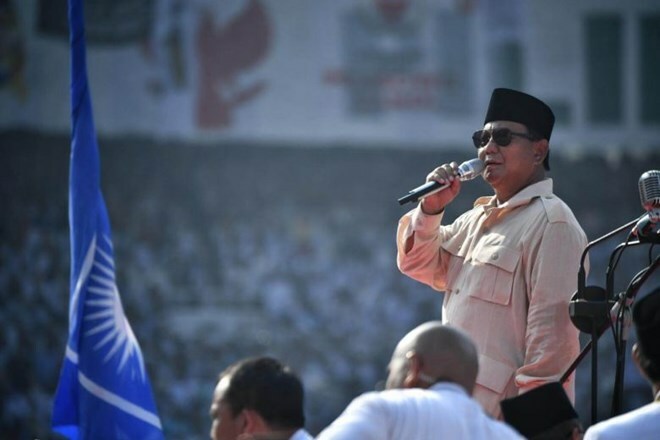 Jakarta (VNA) - Indonesian presidential candidate Prabowo Subianto and his running mate Sandriaga Uno held a campaign rally at the Gelora Bung Karno Main Stadium, Jakarta on April 7, attracting tens of thousands of people. According to Taufik, head of the organising board of the event, the campaign is supported by many different groups, including members of allied political parties, Muslim scholars and supporters. In his speech, Prabowo Subianto, President of the Great Indonesia Movement Party, affirmed that he would do his best and fight for Indonesian people if he wins in the upcoming election. He also reasserted his commitment to building a non-corrupt government. Indonesia will hold legislative and presidential elections simultaneously on April 17 across the country.